Cristiano Ronaldo's goals lead has been reduced to six by Lionel Messi after the latest round of games in La Liga. Messi opened the scoring for Barcelona in Saturday's 6-0 triumph over Sporting Gijon. The Argentine forward also claimed an assist and got three of the seven shots he took on target. Meanwhile, an injury forced Ronaldo to sit out Real Madrid's 3-2 comeback victory at Rayo Vallecano. Here's what our Barcelona club blogger had to say about Messi's performance. Lee Roden on Messi: 10/10 -- Displayed his full bag of tricks on a vintage night. Showed great anticipation to head in the opening goal when [Sporting goalkeeper Ivan] Cuellar flapped at a high ball, then spent the rest of the match pulling Sporting apart with a mixture of cutting passes and trademark, explosive dribbles. Created countless chances for teammates, bagged an assist and was only denied a second goal of his own by a clearance off the line after wowing the crowd with ball juggling in the opposition area during the buildup. How did Twitter react to Messi's latest display? 1-0 Barca. Messi heads over stranded Cuellar after Sporting keeper comes to challenge Suarez and flaps a bit. It remains to be seen if Ronaldo will be available for Real Madrid's trip to San Sebastian to face Real Sociedad on Saturday, while Messi and Barcelona head south to Sevilla to take on Betis on Saturday. 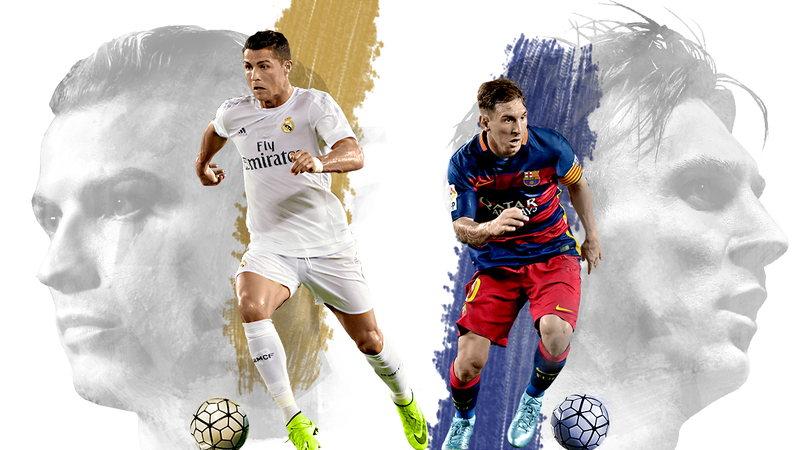 All season long, ESPN FC, in conjunction with ESPN's Stats & Information group, will forecast the scoring battle in La Liga between Messi and Ronaldo using a specially designed projection model.